When writing my blog post Valentines day gifts she will actually want I included Glossybox's Valentines Day special edition box to the list. 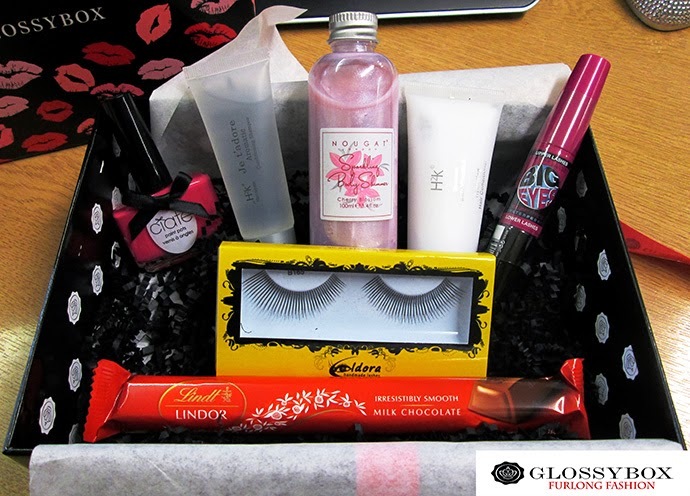 Glossybox is a subscription based beauty sampling box. Each month you receive a lovely box filled with high end and new brands to sample. From nail polish to new hair & beauty products, the box is always a fun surprise! When the postman arrived at work yesterday, I was lucky enough that he was carrying a small well packaged box, to my surprise it was the special Valentines Day edition Glossybox, I couldn't wait to see what was inside!!! 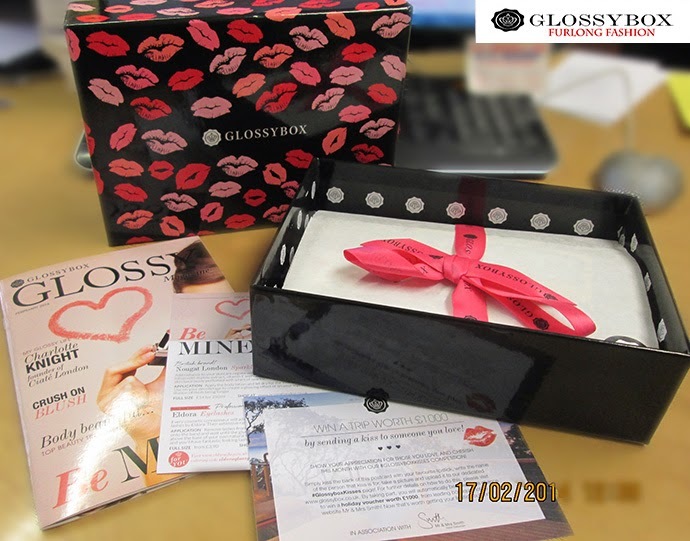 The newly designed Glossybox is always beautifully packaged and this month did not disappoint the glossy black box was adorned with different shades of red lipstick prints which ties in nicely with the #Glossyboxkisses competition. The box also contains a glossy magazine and card showing all of the details for the products inside. This Glossybox also includes a postcard which is part of a competition to win a £1000 holiday voucher with Mr & Mrs Hotel Collection. I will feature my entry soon. This months Glossybox contained 6 products and 4 of these were full size which was a pleasant surprise. The below products were inside my box and I will review each of them individually throughout the month. Although I am currently eating the Lindt Lindor treat bar whilst writing this post. For those of you who have never heard of Glossybox it really is a great subscription either for yourself or as a gift for a very close friend or sister. When you sign-up you fill in all your personal beauty details so the box will be tailored to suit you, plus you get leaflet with handy hints and tips to go with your five new miniature products. With 54 brands from Yves Saint Laurent and Philip Kingsley to lesser known brands like Ahava and Bio Effect all vying for a spot in the box you’ll be sure to get something really different every month. I can't wait to review this months products and before we know it, it will be time for March's Glossybox! !